Angela Long is the Branch Manager for our Statesboro location, and specializes in both personal and commercial lines. Angela has over 35 years experience in the industry, and has been with DeWitt Insurance since 1989. She currently holds a CISR* designation, and regularly attends training courses. She values helping and getting to know her clients, and enjoys the close relationships that have been built over the years. 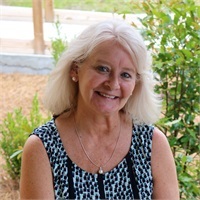 Angela is a volunteer with Christian Social Ministries, and participates in various volunteer opportunities within Bulloch County.